Yet, there’s an easy way around that, and it’s to teach your children how respect cats as living creatures and learn how to interact with them in a positive way. As you know, it’s not difficult to recognize kitty behavior and know when to give them some space. It's important to know the signs. The beauty is, your kids have lots of control over this since they can learn how to approach the cat and when to leave it alone. 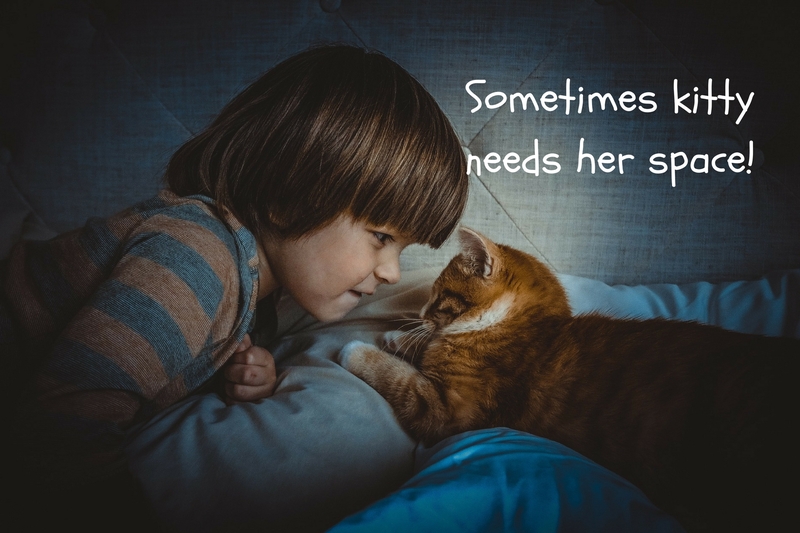 When children are gentle and kind, friendly cats will come to trust and appreciate them. But if the children are loud and unpredictable, then the cat is going to make itself scarce. The opportunity then is for the child to learn how to approach a cat in a friendly manner, which may mean not approaching the cat at all, but allowing the cat to come to them instead. This is a very empowering stance. If you have young children, you can teach them to remain calm when around cats. They can put out their hands and allow the cat to come to them if the cat is willing. Older children will be able to recognize the cat’s body language and know when to give the cat its space. These are valuable lessons for children. Learning to read an animal’s body language is a good life skill to have, and if you’ve spent any time with cats, you know they rarely lash out without warning. As you may know, cats often telegraph their moods through their tails and ears. “Ears turned back – Watch out for this kitty! He might feel irritated [or] over stimulated, so it’s probably a good idea to leave him alone. Ears back and flat against head – This is a sure sign a cat is scared and feeling defensive. A happy and relaxed cat will have upright ears or they’ll be slightly turned forward. Likewise, the tail is a major giveaway. A swishing tail, or one that is hanging low between the legs indicates annoyance or anxiety respectively. Of course, the famed “Halloween-cat” stance - with the tail upright, fur standing on end, and an angry stare - definitely means leave the cat alone. When children learn to “read” these signals, they’ll know when to back off and leave the cat alone. It’s important to use common sense, and establish boundaries with any pet and the people in your household. One approach that works well with cats is to give them an escape route. Whether that’s an open door, a high shelf, or an enclosed cat tree, the kitty can escape if he feels threatened, and this can help prevent misunderstandings. 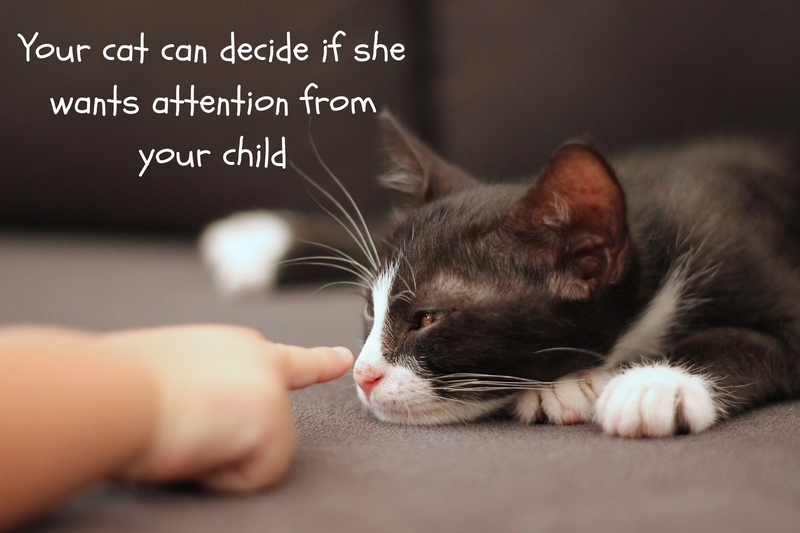 Of course, a lot depends on the age and temperament of both your children and cat. Supervision is a good idea while the two species get used to one another. Like any personalities, everyone is different and it’s up to you to facilitate them learning to live together in harmony. If you have specific questions about your cat and household, we can give you specific advice relating to your cat if you have questions. Just contact us!